Analytics help you understand your customers’ experience. Attribution informs your marketing mix. For brands with multiple digital and offline marketing channels as well as cross-device campaigns and purchase paths, it’s not about choosing one capability over the other; it’s about both working together. Data is a game changer. But at face value, it’s just data. It becomes powerful when it’s used not just to support decisions, but to drive actions. And marketers know that to take action on their data, they need to collect and analyze it. Because ultimately, it’s about uncovering how your customers engage with your brand. Many marketers believe that strategic marketing measurement is solely about the implementation of customer analytics (technology that can help you measure how your audience interacts with your online properties—or doesn’t). But analytics might not be enough. To truly make the most of your data, you need to combine your analytics insights with robust attribution insights. At a high level, customer analytics provide an understanding of your customers’ experience—primarily across sites, apps, and other customer engagement points (call centers, for instance). These insights can then be used to inform targeting, marketing, and product decisions. Although these insights are critical, customer analytics alone do not tell the full story. 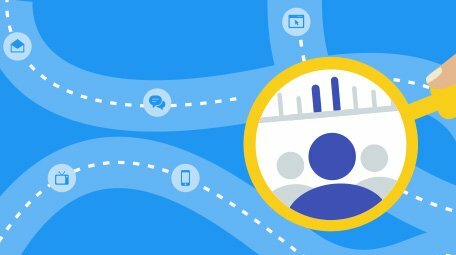 The truth is that brands using more than one or two channels to reach their target markets may be missing vital details about the many touchpoints across the full customer journey and throughout their marketing mix. Data-driven attribution tracks and values all touchpoints that lead to a desired outcome (regardless of whether the customer ended up on a brand’s website). Think of attribution as the peanut butter to analytics’ jelly. Yes, each is great on its own, but for many, they’re even better together. Another misconception is that the use of one of these types of measurement capabilities negates the other. Not true. Think of attribution as the peanut butter to analytics’ jelly. Yes, each is great on its own, but for many, they’re even better together. With both analytics and attribution in place, you can establish a holistic measurement plan with unified key performance indicators (KPIs). In doing so, you can manage your marketing spend so that you can best reach, influence, motivate, and drive your audience to those places where they can engage and convert. Here we’ll show how the strategic use of both can lead to better measurement. It’s Ms. Smith’s job to figure out how to sell more shoes to these young professional women. First, though, she needs to understand how this consumer group ended up at ABC’s website and what they do once they get there. Do they click on paid search ads after a specific query (say, a search for “cute wedge heels for spring”)? Which parts of the website do they visit? Do they spend a lot of time looking for seasonal items (boots in the winter and flip-flops in the summer, for example)? Are they visitors to the monthly trend posts on the site? Analytics can provide Ms. Smith with the answers to all of these questions. She can then use these insights to optimize her target customers’ experience on her company’s website and improve their path to entry. The result? Young professional women are able to find exactly what they’re looking for at exactly the moment they need it. In turn, ABC has happy, loyal customers who will continue to return. Now, let’s suppose some of these young professional women haven’t been to ABC’s website in a while (or ever), and Ms. Smith wants to find a way to encourage more of them to come back. She’ll need more information about their overall media journey. What kind of media channels do they engage with? Do they purchase online or in-store? Which devices do they use while shopping for shoes? Ms. Smith starts by looking at ABC’s marketing mix—digital display ads, paid and organic search ads, social media, TV ads, and print ads—and all of the various touchpoints (any interaction she may have had with these channels). Attribution helps Ms. Smith identify patterns and trends across all marketing channels (e.g., after seeing an ad on a specific TV channel, a prospective buyer’s search takes her to ABC’s website). What’s more, Ms. Smith can see that social media is resulting in a positive lift for ABC’s email campaigns and increasing sales. The analysis also shows that buyers sometimes research products online and then make their final purchase at the local ABC store. That leads Ms. Smith to adjust her marketing budget accordingly so she’s properly reaching her omni-channel shoppers—and ABC ensures that it has even more happy customers. 1. Am I seeing all of my marketing touchpoints? While it’s true that your current measurement strategy may offer some baseline attribution capabilities (tracking the end-of-funnel events that led a consumer to your website and providing conversion credit to those touchpoints, for example), your organization may require more robust attribution functionality. It really depends on the complexity of your data. How many data sources can your attribution solution support? If your digital marketing mix is simple (only a couple of channels) and you have no challenges in importing or interpreting your data, analytics may suffice. If, however, you’re working with a large number of marketing channels, media platforms, and offline channels (radio and TV, for example), you may want to consider incorporating more attribution features. 2. What added value will attribution provide? Specialized attribution capabilities use sophisticated algorithms that help you get to the robust, statistically sound insights that can help drive impact. For example, data-driven attribution can sniff out which consumer touchpoints are the most influential for your business. When comparing each conversion path, things like the number of touchpoints in the sequence, the order of exposure, and the creative assets used are all factored into results. 3. Does my team have the expertise needed to choose and implement attribution and then interpret and act on its insights? If you’re counting on attribution to unlock insights that will help you drive business value, make sure your team has the training and support it needs. This expertise may reside within your organization or in a third-party provider. The right resource will be able to ask the right questions and provide the answers needed about implementation, integration, optimization, methodology, type, technology, support, and more. 4. Am I duplicating my investment by paying for two different solutions? One product may provide an adequate solution for both your analytics and attribution needs as long as the reporting is sufficient. However, if you’re a large advertiser, with a complex marketing ecosystem, investing in deep analytics and attribution functionality is likely to drive the best results. Many challenges face today’s marketers—and there are more than enough ways to help you optimize your efforts to deal with them. The key is to begin with an understanding of the customer journey and the many micro-moments, or opportunities, for your brand to connect with your customers. Better, strategic measurement doesn’t mean choosing between analytics and attribution. It means recognizing the power of using both—and to what degree you should use them.